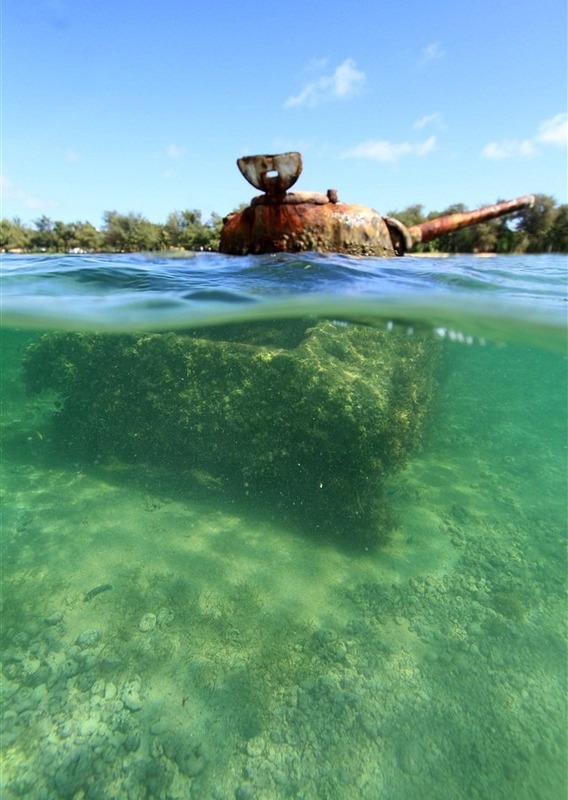 A Piece of Naval History or Just Macabre? President Theodore Roosevelt speaks at the 1906 re-interment service for John Paul Jones. “The future naval officers, who live within these walls, will find in the career of the man whose life we this day celebrate, not merely a subject for admiration and respect, but an object lesson to be taken into their innermost hearts. . . . Every officer . . . should feel in each fiber of his being an eager desire to emulate the energy, the professional capacity, the indomitable determination and dauntless scorn of death which marked John Paul Jones above all his fellows.” President Roosevelt uttered these words (on April 24, 1906) within the confines of the United States Naval Academy at the re-interment of the of remains of the man who is known today as the father of the US Navy, Captain John Paul Jones. Framing an artifact with historical context helps me (and hopefully readers of The Veteran’s Collection) to better understand the importance of an object or artifact. Rather than dive straight into an item, I find that setting the stage helps to provide perspective, so please bear with me. As a militaria collector whose primary interest lies in US Navy artifacts, the idea of possessing anything from the Continental Navy is an aspiration that is almost too lofty to consider. The sheer scarcity of objects precludes ordinary collectors like me from pretense of forays into the Revolutionary-era collecting. Seeking out musket balls and powder horns from the Continental Army is one thing, but the minuscule number of patriot participants in the naval service (in comparison to that of the ground soldiers) equates to an incredibly limited volume of available artifacts for collectors. Considering my financial position and the reality that just about any piece (that I would contemplate as being worthy of my interest) from the Revolutionary War is well out of my reach helps to keep me focused on artifacts that are both within my area of focus and budget constraints. However, on occasion, I do find myself wandering about through dealers’ internet sites and online auction listings from the 1775-1783 time-frame. Very seldom do I find anything that captures my attention which is something that happened not too long ago. Engraving of the famous sea-battle involving John Paul Jones based on the painting “Action Between the Serapis and Bonhomme Richard” by Richard Paton (published 1780). In school, we learned about the famous exploits of Captain Jones (born John Paul in Scotland in 1747, he added the surname Jones after emigrating to the Virginia Colony in the 1770s) with the notable sea battles between his ships and those of the Royal Navy. His legendary response to the surrender inquiry (“Has your ship struck?”) by the enemy commander of the HMS Serapis (Captain Richard Pearson), “I have not yet begun to fight!” will forever be cited in U.S. Naval lore. But most American school children are not educated on what became of Jones following his war service and his ultimate untimely demise. Following the 1783 signing of the Treaty of Paris that brought about peace between Great Britain and the newly established United States, the need for maintaining a navy was lost on (most) congressional members. By 1785, the Continental Navy was disbanded and the last ship (Alliance) was sold off. Jones found himself in Europe (assigned to collect prize money on behalf of Continental Navy privateer sailors) without a command. After a short stint serving Empress Catherine II of Russia as an admiral in the Russian navy (along with some controversial legal troubles), John Paul Jones retired to Paris at the ripe old age of 45 in 1790. Two years later, the great Revolutionary War captain was found dead in his Paris apartment having succumbed to interstitial nephritis. Jones was buried in the French royal family’s cemetery (Saint Louis Cemetery) with considerable expense to M. Pierre François Simonneau, who was incensed that the American government wouldn’t render the honors due such a national hero at his passing. Simonneau said that if America “would not pay the expense of a public burial for a man who had rendered such signal services to France and America” he would pay (the large sum of 462 Francs) himself. With the collapse of the Louis XVI’s monarchy soon after Jones’ death and burial, the cemetery was sold and after a few years was largely forgotten. Decades passed and John Paul Jones’ grave was lost to decay and years of neglect. In 1897, General Horace Porter was appointed as U.S. Ambassador to France by President McKinley. Soon after his arrival in Paris, Porter took personal interest in the pursuit of Jones grave while gathering official and private documents (much of it was conflicting) pertaining to his death and burial. Still inside the dig site, workers pose with lead casket of what was believed to be the body of John Paul Jones. The 1780 bust of John Paul Jones by Jean-Antoine Houdon that was used in 1905 to positively identify the remains of John Paul Jones. After careful examination, the physicians confirmed the identity (of the remains) as being that of the late Captain Jones. By August of 1905, the lead casket (which was placed inside a wooden casket) had arrived in the U.S. and was temporarily laid to rest at the US Naval Academy’s (USNA) Bancroft Hall during an April 24, 1906 ceremony. Jones’ body remained in this location while his final resting place was constructed beneath the USNA chapel. Upon completion of the elaborate and ornate crypt in 1913, the naval hero of the American Revolution was laid to rest at his final location. Casket of John Paul Jones is lowered to the deck of the USS Standish (U.S. Naval Historical Center Photograph.). Casket containing the body of John Paul Jones on the after deck of the Tug Standish, after its transfer from USS Brooklyn (Armored Cruiser # 3) in Annapolis Roads, off the U.S. Naval Academy, 23 July 1905. An honor guard stands around the flag-draped casket (U.S. Naval Historical Center Photograph.). John Paul Jones’ final resting place as it appears today (US Navy photo). By now you might be wondering why I am going to such great length in describing what happened with the naval hero of the American Revolution and what the possible context is regarding militaria. While perusing an online auction site, I stumbled upon a listing pertaining to Captain Jones. As I scanned through the various images detailing the different facets included with the piece it began to sink in that the auction lot was highly bizarre and extremely unique (if not macabre). Though seller made a minute attempt to fully describe what the item within the listing, he (or she) opted instead to let the incredibly small images (low resolution, no less) makeup for the lack of details within the text. The rather large framed John Paul Jones group has the lock of his hair prominently displayed among the provenance and images (source: eBay image). From appearances, the lot contained a lock of the Captain’s hair that had supposedly been removed by one of the physicians who performed the 1905 post-exhumation autopsy. Accompanying the lock (which was bound with a ribbon) was the doctor’s hand-written note regarding how he obtained the piece. Along with these two pieces is another handwritten note inscribed by the man who purchased the hair (“H. H. Strigley”) from the physician in January, 1926. “Lock of hair of John Paul Jones, founder of the United States Navy. Taken by Dr. Georges Papillault during the autopsy on the remains of Jones. Paris, France 1905” (source: eBay image). While this listing certainly piqued my interest, I’d shudder at the idea of forking over $3,500 (which I don’t happen to have available) without performing the necessary due diligence in verifying the documentation trail (or maybe a DNA test of the hair would be in order?). Taken at face value, the item would be a fantastic acquisition and quite the conversation piece for naval collectors. Preserved within the frame is the note from the original purchaser with his signature and the date (source: eBay image). Showing the orientation of the lock of hair, the original purchaser’s provenance note and the vintage postcard of Jones’ Naval Academy crypt (source: eBay image). The handwritten note from Dr. Georges Papillault, Assistant Director of the Laboratory of the Ecole des Hautes Etudes, professor in the school of anthropology (source: eBay image). Contextualizing the group are two images of John Paul Jones. One, an illustration of him during his naval service and the other, a photograph taken after exhumation, during his examination (source: eBay image). Also framed with the group is a vintage postcard of Jones’ crypt at the Naval Academy (source: eBay image). On the back of the John Paul Jones framed group is an attached envelope of supporting documents (source: eBay image). While there is reason to question the validity of such an item, to the right collector, this John Paul Jones group would make a great investment. Perhaps the provenance documents are traceable and can establish enough proof (a hand-writing analysis of the note purportedly drafted by Dr. Papillault)? Happen to Have $250k for a “Rare” 1775 Medal? Having a sense of humor is a good thing for those of you who have served (or are serving) in uniform. You understand the necessity…no…the requirement of possessing the invaluable ability to laugh at humorous situations but also actions, activities, operations or events that are FUBAR (you can look that term up if you don’t already know the definition). With regards to militaria collecting, sarcasm, eye-rolling, head-shaking and bursting forth with gut-shaking laughter helps to keep things in proper perspective, especially when one stumbles upon situations like the following. I know that many, if not most of the people reading this have little or no background covering the history of the United States military medals and decorations. In order to provide some sort of baseline which will then help you to either laugh, roll your eyes or shake your head in disbelief with some measure of authority, I will provide brief history lesson. I won’t go into great detail with the intricacies and extremely specific minutiae so (for those you who are OMSA members) give me a little latitude as I provide a “Reader’s Digest” version. 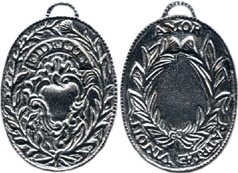 The Fidelity Medallion was authorized by Congress in 1780 and awarded to three soldiers of the Continental Army. Prior to the Declaration of Independence and the subsequent military action taken by the rebellious colonists of North America, awards and decorations were a tradition of European militaries predominantly awarded to the senior military leaders and heads of state to commemorate victorious aspects of their illustrious careers. For the first five years of the Revolution, no decoration existed for men who served in the Continental Army or Navy as, it would seem that winning independence from the tyrannical British rule would be enough (aside from being paid for service) to risk life and limb. Presented by General Washington, the Badge for Military Merit was awarded to at least three army soldiers. It wasn’t until 1780 that Congress enacted the very first decoration, the Fidelity Medal, which was awarded to three specific militiamen (John Paulding, Isaac Van Wart and David Williams) who captured British intelligence officer, Major John Andre’ (who was assisting Benedict Arnold in his treasonous act). Aside from a few Congressional actions taken to award medals to General George Washington (1776), General Horatio Gates (1777) and General Henry Lee (1779), the first medal awarded to soldiers was initiated by the issuance of a field order by General Washington on August 7, 1782 establishing the Badge of Military Merit. 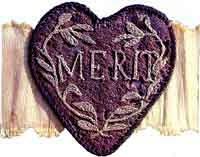 There is some debate as to the number of recipients of the Badge of Military Merit (the predecessor of the Purple Heart medal), but there were very few soldiers to have it bestowed upon them (as few as three). In 1905, Congress approved an act that created a medal for the Certificate of Merit. Another military decoration wouldn’t be awarded for 65 years when the Certificate of Merit (officially recognized with a medal in 1905) was enacted by Congress during the Mexican-American war, in 1847 and re-established during the Indian Wars in the second-half of the nineteenth century. This Navy Type 1 Civil War-era Medal of Honor was presented in 1864 (source: Naval History & Heritage Command). The most notable American military decoration, the Medal of Honor, was established during the Civil War with the first official presentation taking place on March 25, 1863 decorating six Union Army soldiers with the medal. From the Civil War on through World War II, the process of enacting, creating, managing and awarding military decorations was a process that required developing and maturing as awards manuals and official procedures and precedents were established. For military novices, online resources are quite plentiful and very useful for learning how to determine the identity of a specific decoration and it’s potential collector demand and subsequent value. Now that I have presented all of this information, it is my hope that you see the humor in the remainder of this article. 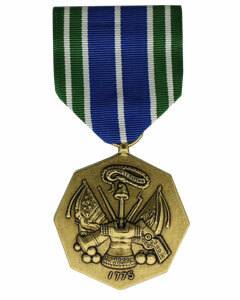 The Army Achievement Medal was established in 1981 and is awarded for outstanding achievement or meritorious service. In 1961, the Navy Department established a medal to recognize individual, meritorious achievements that were not commensurate with the criteria of the Navy Commendation medal. 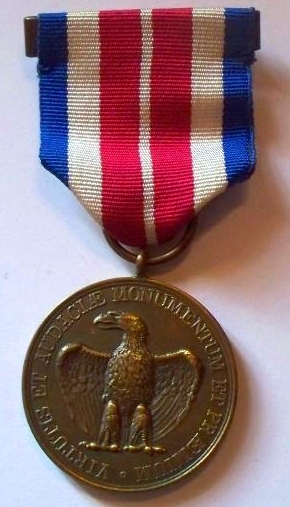 In 1981, the Army (and Air Force) followed suit with their own achievement medals. In a recent online auction listing, a seller listed a military decoration and titled it “1775 medal” and listed it as an Original Period militaria Item from the Revolutionary War (1775-83). 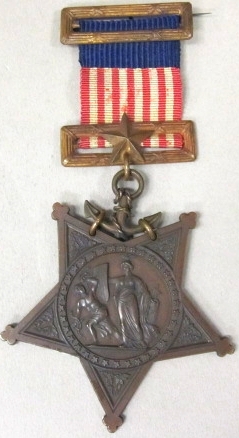 The photo of the medal showed it as a set (ribbon device, lapel pin, miniature and full sized medals) in the current-issue plastic presentation case. One could suppose that the seller simply mis-categorized the listing and perhaps, mistyped the auction title. These sorts of mistakes are quite common occurrences. However, this story doesn’t end with a simple mistake. This auction is humorous regardless if the seller believes the medal is 240 years old or simply being sarcastic (source: eBay screenshot). Reviewing the 1775 medal auction description and price, it should become readily apparent that the seller is either out of his or her element, seeking to deceive a potential buyer or having some fun with an online auction listing. The seller states in the text, “1775 military achievement award complete set asking 200,000 worth 350.000 (sic).” Fortunately for potential buyers, the seller provided an option to buy it now for $250k, splitting the difference between the starting bid and the (stated) value. 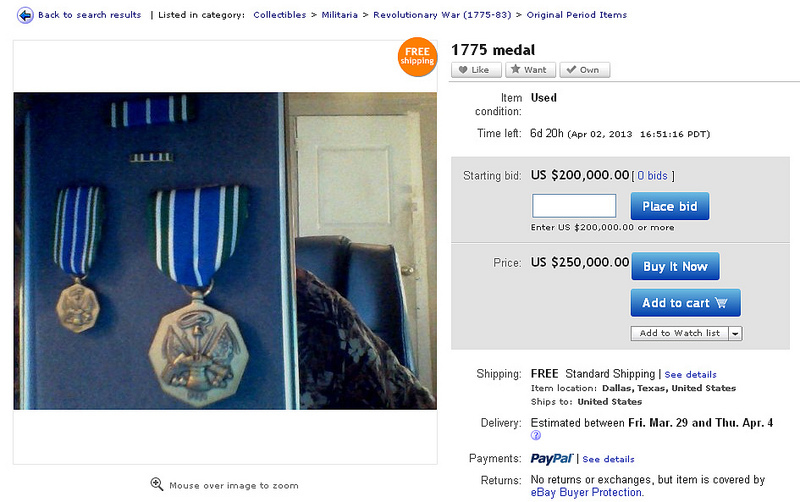 Either the seller thinks this medal is only worth $350 but is selling it for a mere $200k or potential buyers can save as much as $150k submitting his minimum bid (source: eBay screenshot). Not one to make accusations as to the seller’s intentions, I choose to instead, laugh and enjoy the antics routinely experienced in the world of online auctions. For the record, if a collector is seeking to purchase an Army Achievement medal set, look to pay in the neighborhood of $20-40.